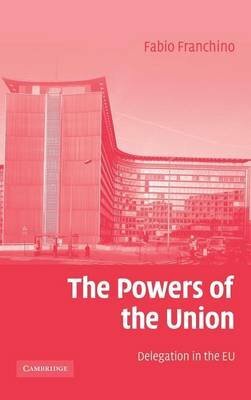 The Powers of the Union develops and tests a new theory of centralization and bureaucratization in the European Union. Using original data spanning five decades and a multi-method approach, Franchino argues that most EU laws rely extensively on national administrations for policy implementation and provide for ample national discretionary authority, while limiting tightly the involvement of the European Commission. However, when Council ministers do not share the same policy objectives, some have the incentive to limit national executive discretion and to rely more on the Commission. Majority voting facilitates this outcome, but the limited policy expertise of supranational bureaucrats and their biased views impede extensive supranational delegation. Finally, the European Parliament systematically attempts to limit national discretion, especially when its views differ from ministerial opinions, and tries to increase the Commission's policy autonomy. The book contributes towards understanding political-bureaucratic relations and evaluates the implications for EU democracy and subsidiarity.